Typically I'm very low keyed, even mellow. My motto is lighten up people. But don't lighten up the ingredients on my Oriental Chicken Salad. When you add some hungry with some driving time sprinkled on top I might get easily provoked. Driving though Indiana (not my favorite state - do have favorite? are you a Hoosier?) with wife and kids some years ago we agreed on Applebees for lunch. The place was busy but not overly so and we were seated quickly. I knew I was ordering the Oriental Chicken Salad when I turn off the interstate. Wife and kids decide their orders, give the order, and then wait. Not the quickest turn around but that was not the problem. The orders were messed up. Daughter's Bacon Cheeseburger had no bacon. Then I noticed my salad was missing those crispy oriental noodles. I love crunchy and for me it was the best part of this salad. The waiter tells me they are out of crispy noodles. Too many problems here - I need some face time with the manager. I bluntly explain to the manager that had I been told about their shortage of crispy noodles, I would have ordered something else. I accepted some type of replacement and daughter's Bacon Cheeseburger comes back with bacon now but NO cheese. Manager stop by to ask how we were doing. Not well, I explained. In the end, the problem was rectified by the manager giving us the total meal free and including free deserts for the group. The other benefit for me came later when my stand for noodle rights became a family legend. Was listening to some oldies today. It struck me that some lyrics take on a whole different meaning after many years of life experience. Send a copy to my lawyer, gotta start a new life..."
What type of a-hole could not even write his own letter to a woman he is leaving? Not only that lack of feeling but then he hits on his secretary for a date. Companies should use the following clip for training. Young people today might not realize that years ago bosses dictated letters into these funny tape machines. I try to avoid places like Applebees. But I just heard that song the other day for the first time in quite a while. I don't think he owed his wife a hand-written letter after catching her in bed with someone else, but it is appalling that he takes the opportunity of a pending divorce to hit on his secretary. Maybe his lack of character is what drove his wife to stray in the first place? 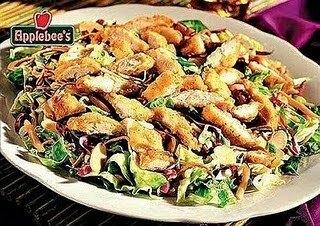 That salad is one of my favorite salads at Applebees. It's too bad the server didn't know ahead of time that they were out of the crispy noodles. I work at Fridays and I hate when I have to tell someone an ingredient is missing from their dish. I knew a solicitor in britland who dictated messages for his minion to send by Email! @secret agent woman - I still like Applebees. I bet you didn't think that deeply about the song when you first heard it. @joanie m - it's disappointing when some favorite thing is out but at least being able to know upfront before you order is best. Does management (notice my lack of trust here) ever tell you to not tell the customer until after they placed the order? Am I tempting my fate with commenting about comments? I just had to delete a spam type comment up here. Maybe talking about comments gets the spammer's attention - assuming they have any attention span. My mom had Alzheimer's and she was obsessed with that salad. It would have been a catastrophe if they had run out of noodles when I had my mom there. Thanks for visiting my blog today. Yours is very fun and funny. I love that salad, but without the noodles it's just not the same. My word for word verification is: beaver. Hmmm. @ronda l - that's a terrible disease that was experienced on my wife side of the family. Strange how a salad would become part of it. all the best. 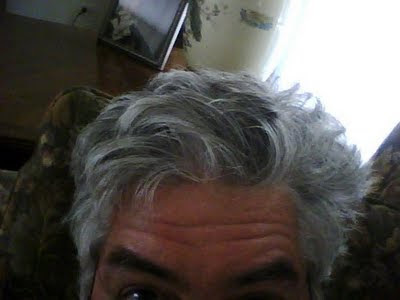 @unknown mami - hey my word is rooster - what's up here - just kidding - as you can see I didn't switch to the disqus system just yet - soon. Believe it or not, I've thought that about the song for many years. Probably not when I heard it as a child, but as long as I've been an adult. I always thought the guy sounded a little smarmy. Ok I admit that I don't believe you. It was a minor one hit wonder and it's surprising that you would have thought of that song. Well, on second thought (third thought?) how do I know what songs are in your head. But we do agree that the guy's lyrics would not be very 'PC' today.